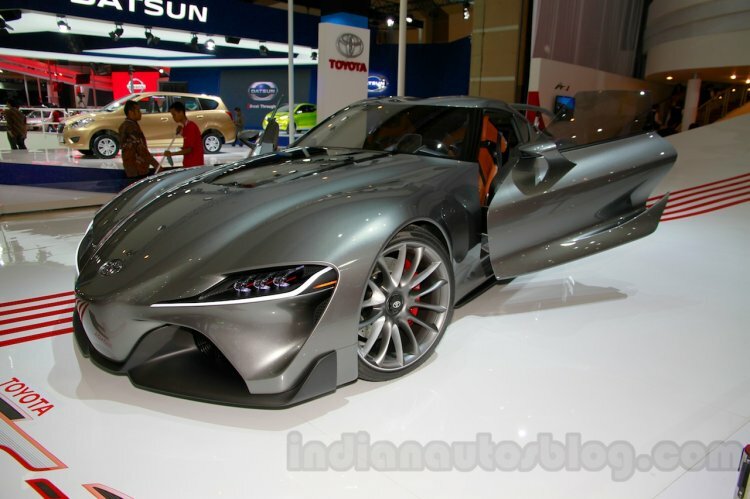 Previews designs of future Toyota sportscars. The Toyota FT-1 concept lavished in a graphite exterior and a tan leather interior with exposed metal surfaces is on view at the 2014 Indonesia International Motor Show (IIMS 2014). 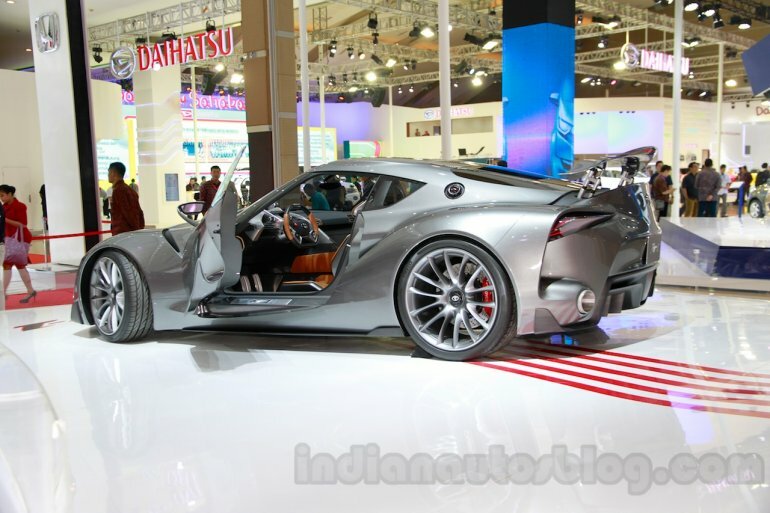 The FT-1 at IIMS gets a tan leather interior. Originally donning a bright red paint job at its world premiere in Detroit this year, the car was showcased at Pebble Beach (in August) with the updated livery. 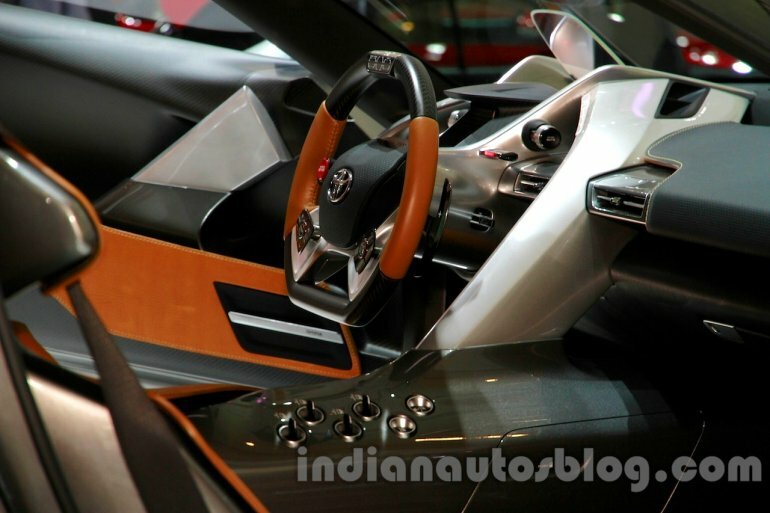 While the color of the black leather interior of the Detroit show car was a "bold and masculine black that keeps the driver focused on the road", the natural leather on the seat of the updated FT-1 is "supple with an all-natural grain, giving it an authentic appeal", and to "bring in a more sophisticated feel and authenticity through color choice," says Toyota. From color and trim standpoint in the FT-1, there was a laser-like focus on staying true to function. This project was very special, as the FT-1 stands apart in its performance-driven, authentic purpose. 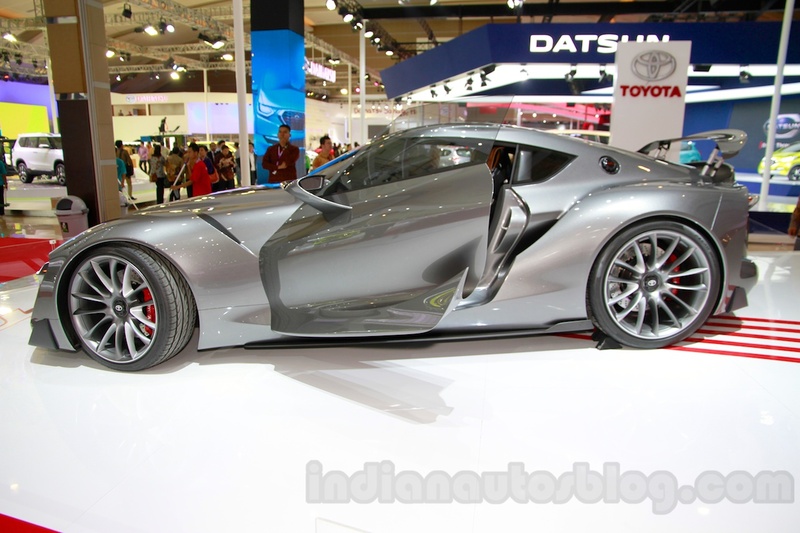 Both the Toyota FT-1 Vision GT and FT-1 with Graphite exterior are drivable on the Gran Turismo 6 on PlayStation 3. You can get more info in the press release below the gallery.